Why is there no Little League equivalent for kids football in England? 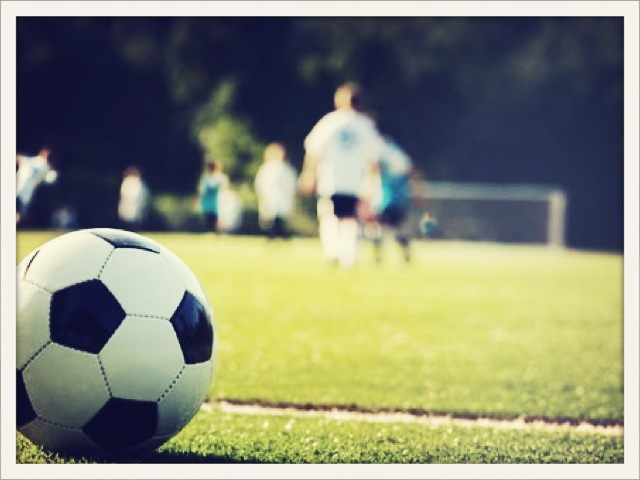 A reputable umbrella organisation for kids football, with links to tournaments, players, coaching, coaches – with a outlook that is child- and parent-friendly. Not the FA. Its website would make success easier to share and celebrate (pro scouts could find new talent), it would be social, hyper-local, and promotes health. All good things. The downside is it gives pushy parents any place to shout about their prodigy. Other than that, loads of content supplied by users, stats galore, constant updates and an ideal family audience for brands. The Cricket World Cup is coming to an end. Four years ago, in the West Indies, it was slated as dull and drawn out; this time, the verdict so far is more positive. Other than moving to the knockout stage a little earlier, not much has changed. Fuller stadiums, passionate fans and a few close games seem have done the trick. But that could all change given a one-sided, India-free final. The FA have these, gratis. A leading UK business sells one of its assets for more than double the price it paid just under four years ago. The asset was in danger of passing its sell by date, and the seller is lucky to find a cash-rich buyer in straightened times. The deal is concluded swiftly and the revenues are immediately ploughed back into the business. For some reason this generates negative press. Football really is a funny old game. Liverpool’s sale of Fernando Torres to Chelsea, for £50m, is great business. 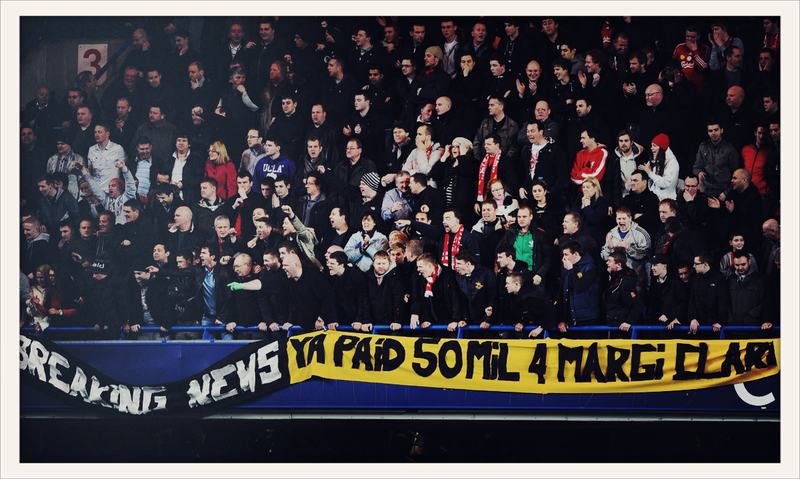 Bizarrely, some Liverpool fans instead chose to berate Torres for lack of loyalty. Some called him a Judas. Loyalty to what? And who has Torres betrayed? Torres is not from Liverpool, he is not a boyhood Liverpool fan, he has not shirked from his work duties (ok, this season he’s been a little less than stellar). He has scored goals, won games and helped shift lots of merchandise. He has definitely done what he was employed to do. Liverpool bought Torres from Athletico Madrid, indeed, like every other club, they buy the vast majority of their playing assets from other clubs. These acquisitions aren’t betrayals they are business deals. And teams are quick to offload players they don’t want, no matter how ‘loyal’ the player. There is little sentiment. The objective is for the assets to produce the right result on the field. If your asset wants out and you can get a decent price, good. His loss. So yesterday was a good day. And the pic above is banner of the season. Does standing for two hours in the away end at the Blackburn-Liverpool game count as training for Tough Guy? It should do. 24 days to go and I need to start raising charity money. If you’d like to give to a good cause (The Christie, a cancer specialist hospital in Manchester), please go with an open wallet to my Just Giving page. £15m spent for just two votes (one of which was us anyway), and out at the first round. It is hard to see what more England could have done; on many levels, it was the best bid. Except it was missing one vital ingredient: it wasn’t ‘new territory’. Russia is, Qatar (in 2022) also. England has hosted a World Cup, time for someone new. Fair enough. But if that was the brief, the deciding factor, why was England encouraged to bid? There is no problem in FIFA wanting to take the World Cup to big new (extremely wealthy) regions, but why not make that clear at the beginning of the process? As long as Russia promised to hit the technical specs, it was a shoo-in. China must be nailed-on if it ever wants it. Congrats to Russia, it should host a cracking World Cup: diverse, modern, unique. But couldn’t we have got to this decision a little quicker? What a waste of English time, money and effort. The FA should ask for its money back.